Managing land for wildlife is no easy proposition, but done right, it can greatly enhance the value and enjoyment of your property. Luckily, expert help is a phone call or mouse click away. Size-wise, there's a tremendous amount of difference between the properties managed by Leonard Price and Larry Bachman, but the two men share a common goal: to have a place where family and friends can enjoy good hunting and see plenty of wildlife. Bachman's pride and joy is a two hundred-acre tract off Interstate 26 east of Columbia that he manages primarily for deer and turkey. 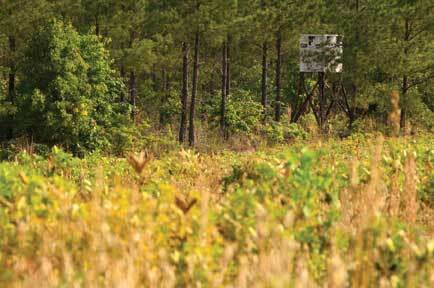 Price's five thousand-acre North Camden Plantation in Kershaw County is managed intensively for turkey, ducks, doves and deer, and features a one hundred-acre shooting preserve specifically for quail hunting. Landowners and land managers like Price and Bachman have for centuries disturbed or enhanced habitat to attract wildlife, at times encouraging one or more game species to the detriment of others. However, modern management practices can encourage a diversity of wildlife on your property, while at the same time attracting the species preferred by hunters. To be successful takes a strong commitment of time, effort and money. As a small businessman, a great deal of Bachman's success depends on his own time, his own sweat and how much he can afford. As the successful retired CEO of Budweiser of Columbia and former owner of Budweiser of Spartanburg, Price can afford to hire plenty of help to create and maintain the kind of place he wants. He acknowledges it's an ongoing and expensive project, but it's one he enjoys to the fullest. "I keep pumping money into it all the time - it costs a lot for fertilizer, seed, tractor time and so forth - but I don't mind doing it, because I like doing it and I enjoy having my friends come out and enjoy what we have here," says Price, who is ninety-one years old. North Camden Plantation is interlaced with 117 miles of regularly maintained dirt roads that provide access to nearly fifty food plots, many of which are planted with chufa to attract and hold wild turkeys, a twelve-acre dove field, fourteen well-stocked fishing ponds and the quail shooting preserve. 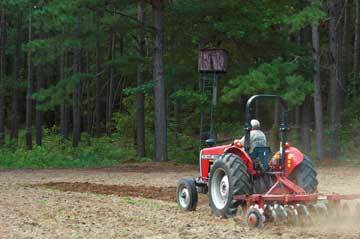 The food plots feature peas, wheat, oats and other foods for deer and turkeys. Last year on opening day, Price's guests harvested 427 doves on the dove field, which is irrigated and planted with sunflowers, plus a stand of bi-color lespedeza to start attracting the birds before the sunflowers mature. Automatic feeders provide additional nourishment to the fish in the ponds, assuring a healthy population of bass and bream. A box of worms or a cage full of crickets can produce a cooler filled with bluegills and shellcrackers on a spring afternoon. Price himself caught a ten-pound bass, an eleven-pound bass and a twelve-pound bass in successive weeks out of one of the ponds. A drive around the property will discover well-managed pine plantations in various stages of growth, fields planted with corn which is harvested to feed the deer in fall and winter, plus several stands of sweet corn planted a few weeks apart to grace the dinner table in summer. 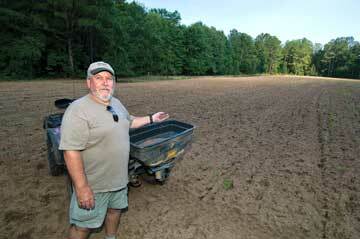 Another field is planted in watermelons and cantaloupes, both for the table and to give to friends. Price frequently opens his enclosed picnic shed and meeting room and other facilities to local schools, youth organizations and community groups. 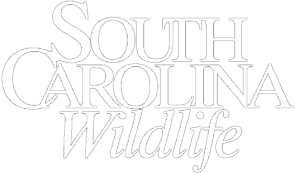 The S.C. Department of Natural Resources has conducted educational programs on the property for students at North Central Middle School, and students at North Central High School use one of his fields for shooting lessons and gun safety instruction. A Cub Scout Camporee drew two hundred young scouts, and more than nine hundred Boy Scouts set up ninety-one campsites for a weekend Jamboree on the property. Price's community involvement and commitment to education are well known in the area, and he says he feels privileged to be able to donate the use of his land for a good cause. But the average landowner trying to manage a property for wildlife conservation operates on a more modest scale. Over the years, Larry Bachman has developed his little piece of paradise bit by bit, almost single-handedly. Fortunately, although he does not own the land, the owners have given him carte blanche to use it as his own. "It is very diverse, with old and new clear cuts, agriculture fields, a swamp with a creek that runs right through the middle of the property, a small pond, dome old growth forest and new growth trees," says Bachman. "There is a very thick place in the swamp that I have made into a sanctuary for the deer and I've created a number of small food plots over the years. There are also some long food plots, two hundred to three hundred yards long and fifteen to twenty yards wide, going through the woods. I brought in a bulldozer to create some 'spokes on a tire' shooting lanes through the woods around deer stand areas. I plant the road edges and the edges of the fields." The key to his ability to develop the property for wildlife, Bachman said, was getting a tractor. "When I first acquired the rights to the property, I did not own a tractor, and I was at the mercy of a guy who lived close by as to when I could get him to plow and plant or bush hog." After buying a new tractor, Bachman discovered he loved "tractor therapy." "I love getting on that tractor and doing what needs to be done. I am down there about twenty-five Saturdays a year, cleaning up the roads, working on deer stands, cutting down trees that have fallen across the road, bush hogging, disking, planting, trimming shooting lanes and anything else that needs to be done." 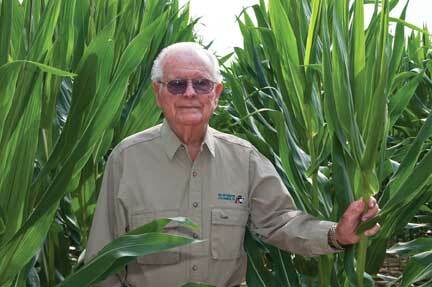 Bachman estimates he spends about $2,000 a year on seed, fertilizer and gasoline. "I like to plant a smorgasbord for the deer, provide a good mixture of seeds, so the deer can come in and nip on this, nip on that. They can find something they like to eat." As both Bachman and Price point out, establishing and maintaining food plots to attract deer, turkeys and other wildlife is costly, but effective. Wildlife experts recommend having a plan that takes into consideration the existing habitat, that of the surrounding area and the traditional use of the area by the key wildlife species. That is the focus of Chris Muckenfuss, a second generation forestry-wildlife professional with Mead Westvaco. Muckenfuss, a wildlife and ecosystems biologist, oversees enhancement of the company's real estate properties for wildlife and recreation. "Anytime a landowner is looking at a piece of property to manage, one of the first things he should look at is the landscape context - what is around him," says Muckenfuss. 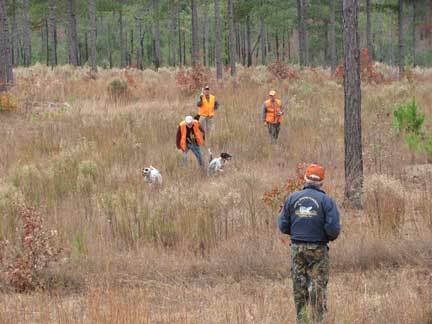 "If you have a mixture of habitat types, in most cases you will have deer and turkey. If you want to enhance the possibilities, you can do some of the things we are doing on some of our land sale properties such as creating successional habitats, creating openings or harvesting timber, allowing those areas to grow up in natural vegetation for two to five years, and then setting them back with prescribed fire, chemicals or bush hogging. That [early successional] habitat is vital to things like providing fawning areas for does, brood-rearing habitats for quail and turkey nesting." Farm Bill programs are directed by the Natural Resources Conservation Service of the U.S. Department of Agriculture, which has thirty-nine field offices serving the state's forty-six counties. 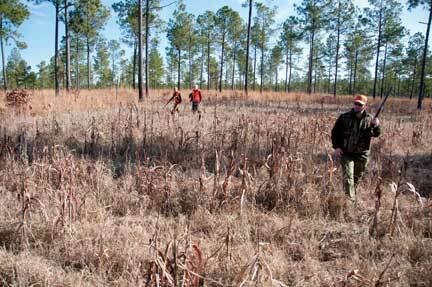 The NRCS's 2011 Wildlife Habitat Incentives Program (WHIP) helps landowners develop habitat for upland wildlife, threatened and endangered species, fish and other wildlife in South Carolina. 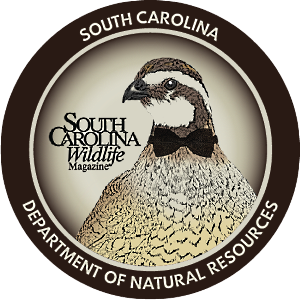 The bobwhite quail, wintering waterfowl and shorebird habitat, invasive plant species, and threatened and endangered plant and animal species have been identified as "priority conservation concerns" in the state by the USDA. The NRCS also will provide funding for controlling exotic and non-native species such as privet hedge. For landowners interested in wildlife conservation as the primary land use, NRCS will pay up to 75 percent of the state average cost for implementing conservation practices. "Some of the most popular programs are prescribed burning, tree planting and creating fire breaks," says NRCS Programs Specialist Shaun Worley. "We also have a conservation cover program which essentially covers implementation of native warm season grasses, planting legumes and things like that." The Quality Deer Management Association, an international organization dedicated to good management of whitetails and other deer species, also provides on-site technical assistance to landowners through its recently launched Land Certification program. Founded by former DNR wildlife biologist Joe Hamilton, who now serves as the organization's director of development, QDMA provides diverse articles on its website - everything from suggestions on planting a food plot to how to tune a chain saw carburetor. "We also conduct a Deer Steward course for landowners that enables them to draft and implement their own specific land management program for deer," says Matthew Ross, QDMA certification programs manager. 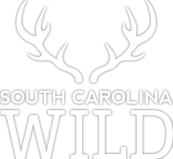 According to Ross, the stewardship program is so comprehensive that Clemson University has adapted it to their curriculum and offers it to seniors in wildlife management. The National Wild Turkey Federation, headquartered in Edgefield, is also in the process of instituting a new program to provide on-site technical planning. The NWTF has had its entire field staff certified as technical service providers through the NRCS. "In the future we hope to be able to provide wildlife management plans for landowners through the conservation planning process," says Donnie Buckland, NWTF director of upland programs. 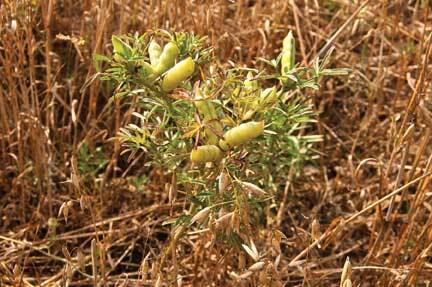 "We have a wide variety of seed from mixtures for annual food plots to perennial grasses and legume mixtures. 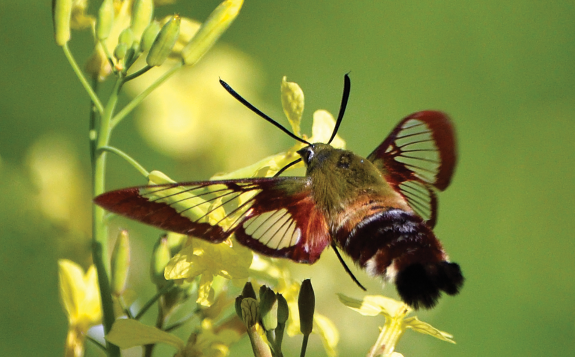 We recently added a pollinator mix specifically for South Carolina, plus we have [for sale] Roundup-ready soybeans for deer and Clearfield sunflower seeds which are herbicide tolerant." When it comes to creating and maintaining habitat for wildlife, there is plenty of help for landowners and managers, from planning to planting and even money to pay for some of it. 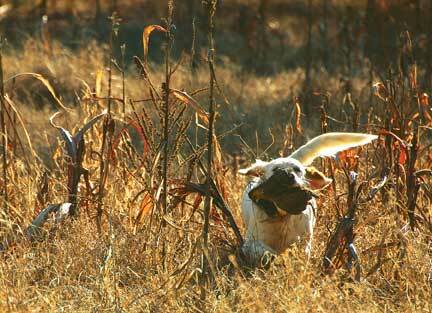 The next steps in managing your land effectively for wildlife are up to you. Pat Robertson writes about the great South Carolina outdoors for numerous state and regional publications.